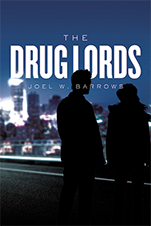 Silvia Meave, Absintha Publishing: "'The Drug Lords' is an exciting novel, written by Joel W. Barrows (the second book in his literary career), which has the power to make the reader sweat cold and jump from his/her seat on the end of every chapter, being eager to reach the final page to know who is behind a chain of disturbing events in the erstwhile peaceful lives of the protagonists. Barrows explores for his novel the dark side of the pharmaceutical industry: Patent theft, greed over the greater good, the hidden side effects of drugs, and some other unethical business practices that are great ingredients in an explosive thriller book full of romance.... Definitely, this is one of the best books of 2017 due to the addressed subject, and the original way the author narrates a love story emerged in the middle of stressful criminal events." Ajoobacats: "I was hooked from the first page." 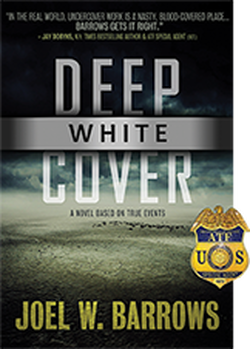 Scott Parsons: "The plot and the characters seem to leap from the headlines." Michael Murphy: "There’s a new master of political suspense, and his name is Joel W. Barrows." Peter Faur: "...It couldn't be more timely." Silvia Meave: "Getting inside the characters' stories and feelings is one of the more touching values of this electrifying book."